Writers and printers have worked together since Johannes Gutenberg invented the movable type printing press in 1440. I had the chance last week to join Kerrie and some other NCW folks for a tour of Citizen Printing, a local company that has been committing words to paper since 1906. Digital printing has changed the business almost as much as Gutenberg did. 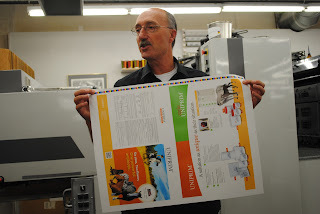 It’s faster and greener than typesetting, which makes the process easier for both the print shop and the author. But there are still factors that writers must take into consideration. For instance, for all of us plugging along in Word, well, it’s not a professional print production format. PDF files are easier to manipulate and correct, and Adobe and Publisher are even better. Don’t want to learn those? A good print shop will have a pre-press department with a patient guru who can make a document look polished and professional without subjecting the author to those hair-pulling, head-banging, ‘why isn’t this working?’ moments. 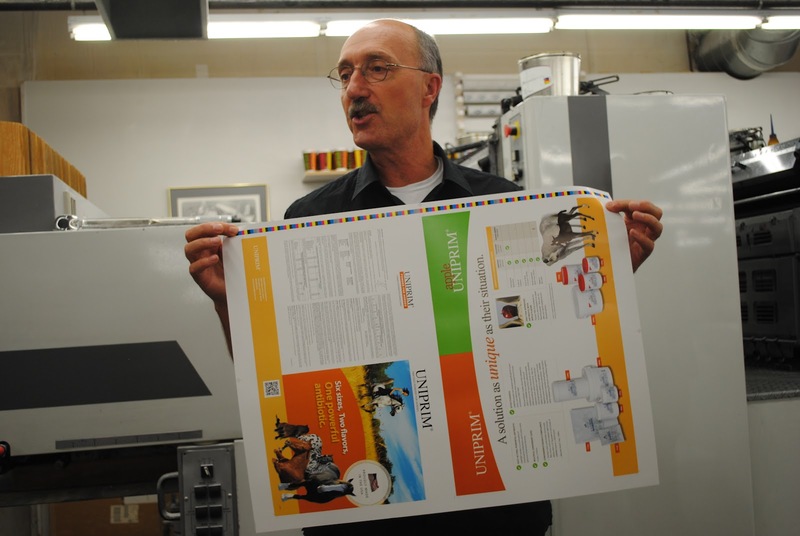 A good print shop will also have a variety of papers, sizes, and covers from which to choose. They will provide plenty of proofs, colors, and stay within budget. They will offer advice and guidance to help a client arrive at a pleasing end product. I hate to use the “m” word, but here it comes: marketing. Authors, before you have any materials printed in a quantity larger than whatever will comfortably fit in, say, your microwave, you must have an idea of where they will end up. (Hint: not your garage.) And guess what? The internet is not a marketing plan. Neither is dropping books off an overpass, sneaking them in mailboxes under cover of darkness, or stuffing them into Girl Scout cookie boxes. 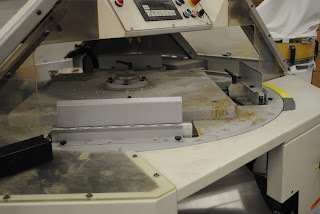 A print shop can be a great way for an author to self-publish, but—and this is the biggest lesson I learned—don’t put the cart before the horse. Know ahead of time why you’re publishing, who will read what you’ve done, and how you’ll get it into their hands. 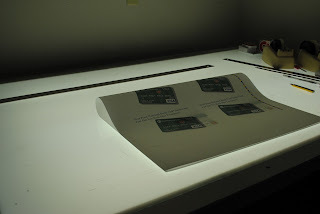 And then, when you’re ready to go for it, find a reputable printer who will help make your dream come true. Thanks to Rick, Mike, and Ben at Citizen for sharing their time and expertise with us. And for the pizza. Mmmm, pizza. 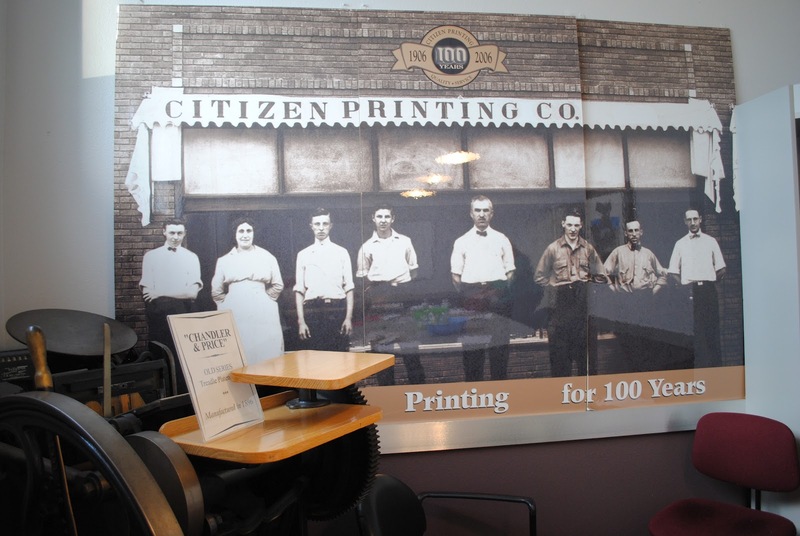 Have you ever published using a print shop? Interesting post. I got a lot out of it. Excellent post and photos, Jenny. It was a good tour. I've never used a print shop myself, but I've served on the editorial board for the Senior Center's Mountain Scribe Anthology, and we use local publisher/printers. It's quite a project to publish on your own, and then do the marketing as well. Learning about available resources helps us make these good decisions.